Acts of kindness that continue to show how the citizens and businesses of the United States are the most generous on earth...who not only help US citizens during natural disasters but people all around the world. April 9 spreading flood debris on the Kusel farm with AGP of Manning in the background. One person, Jaime (Struve) England of Manning, comes up with an idea to help another community and the citizens of the Manning area, including a representative of Audubon, Iowa, came forward to fill up this trailer. At the time of these pictures the supplies had not yet been delivered from Audubon. Trailer nearly half full with more coming from Audubon. Ben & Kathy Puck of PCE donated the use of their trailer and Jaime and her family will pull the trailer to Hamburg on Friday. Below was the original request which is now over. THE CITY OF HAMBURG NEEDS OUR HELP! PLEASE SHARE! We've contacted the mayor's office (housed in the grade school currently) for a list of items they need. We'll update if they send more info! We'll be collecting items at The Market Place Today (Tues), Wed, Thurs 7am-6pm and heading out Friday morning. ANY HELP/DONATION WOULD BE APPRECIATED! They have no running water, heat, or gas but the school does have electricity. They DON'T have a need for clothes at this time. Early April - flood aftermath I can remember 55 years-worth of cleaning up after floods. My memories of the early years - the worst part was cleaning debris out the fences and fixing fences. Back then a lot of metal cans, large glass gallon bottles, junk of all kinds, tree branches, logs, boards with spike nails sticking up, and anything else that would float out of the gullies used as dumps that were next to the creeks, ended up in our bottom fields. The last flood of this nature was in 2007 but it did not cover as much of the flood plain, so we did not have as many corn stalks and residue debris back then as this year...but there was a lot more junk/trash that floated down from upstream. The good thing this year is that I only found a few pop cans/bottles in the debris, one board with spike and 2 broken fence posts - a major improvement by farmers/landowners for not using gullies and washouts along creeks as a dumping point. Farther down below is the flood feature and I mentioned how the changes in the roads by the county drastically changed the flow of flood water and debris. The first picture below shows the March 13 flood water coming from the northeast, and the 1960s picture shows how the water flowed before the road was raised by 10 feet in the 1980s. This completely changed the of the water and the debris field...backing it up in our field. Flow of floodwater coming from the main branch of the Nishnabotna to the lower/smaller branch. April 9 - looking to the southwest back to end-point of the top picture. The cornstalk pile in the background came from a 1-acre debris field. About half way through we said we should have counted the spreader loads. I'm guessing well over 100...probably closer to 200. 1960s view that shows the flood waters would freely flow across the road. The floating debris just kept on going south...except for the fences that caught some of the debris. Every so many years the CRP fields are scheduled for burning. Unfortunately this year with all of the snow/rain/cold and then flooding created special challenges. The dead grass is matted down and covered with fine silt, which prevents things from drying out. The piles of cornstalks and other debris won't dry out either, so finding the right burn conditions is difficult. As hard as we tried we just couldn't get the dead grass to burn. So a few days later we tried on another section of the CRP which created more smoke than fire. Des Moines Metro Opera is coming to Manning to perform “The Magic Flute” on Tuesday, April 23, 2019, at 6pm at the IKM-Manning H.S. Auditorium in Manning. This is an incredible performance being sponsored by the IKM-Manning Fine Arts Booster Club! Please join us & enjoy the show! Jeanne Lyden called me and gave me the names of her family in this picture. Vincent is Jeanne's father. She described where this house once stood on Fifth Street (south side) - in the 2nd block over to the east from the Terrace Apartments along Center Street. Circa 1903: Mary Lyden, Vincent Sr., Bonito, Beatrice, Wanda A fellow (outside of Manning) purchased an old Lyden family picture and is wondering if anyone could ID the family names and/or the home in Manning. The fellow scanned the picture for me so I could post it on my web page. Accura is excited to announce plans to acquire Manning Plaza in Manning Iowa on May 1st from Manning Regional Healthcare Center. Employee meetings are set for Wednesday April 3rd. We are working out details to have our resident and family meetings. I could not be more grateful to the CEO and leadership team of Manning Regional Healthcare Center for their assistance and leadership in making this happen. We are excited to be “partners in care, and family for life” with the hospital and the great city of Manning. If the young generations want the same quality of life they grew up with and have come to expect, then they'll have to step it up a lot more to KEEP IT!!! The Manning Plaza is facing serious financial challenges due to Medicaid payments that are below the cost of providing service to its residents and a significant reduction in the number of residents. All rural nursing homes in Iowa and across the Midwest are facing similar challenges. Unless changes are made, the Manning Plaza is facing closure this spring. A community meeting was held at 6:00 p.m. Thursday, January 31st at the IKM-Manning High School auditorium. The entire community was invited to the meeting. The Manning Public Library Association was organized in August 1886. A membership fee of one dollar per year was charged. The library was started with a case of 30 volumes and was located in the State Bank. In June 1895, a Woman's Reading Circle was organized and they took charge of the library, and increased the stock of books to 160 volumes. They subscribed to Iowa State Traveling Library which furnished them with 100 volumes per year. It was opened to the public on Saturdays from two until five o'clock. By 1900 the library was no longer in existence. In 1928 the American Legion Auxiliary gave a sum of $394 and an agreement was made with the city council to use the city hall for a library. The money was used to build bookcases and a board was appointed to help carry on the work. The library was opened in January 1929 and books were rented from the Denison Library for several years. Many organizations helped to build the library by donating money and books. Auxiliary members donated their time and took care of the checking in and out of books. In 1934 the library was taken over by the town and has since been supported by both city and county taxes. The first board to be appointed by the city included: Anna (Espy) Sutherland, Anna (Hansen) Meyers, L.E. Qualley, Luther Tate and Mrs. Jack West. In 1934 Mrs. Myrtle Porter was appointed the first librarian. In 1939 she resigned and Ida Motter was appointed. After she resigned in 1945 Mrs. Harry Hinz became librarian and has held that position for the past 34 years. It has been through the direction of Mrs. Hinz that the library has grown steadily. In 1955 the town voted to build a new City Hall and the library now has the east wing of that building. The library has grown from a book collection of about 1800 in 1934 to about 11,000. Many books have been presented to the library as memorials. Clubs have given books as a memorial each time a member dies. The American Legion Auxiliary each year continues to give a donation to help the project they started in 1929. The Rotary Club has been generous. They set up a shelf in honor of Henry & Ann Brunnier. Mr. Brunnier was born and raised in Manning, became an architect and assisted in designing the San Francisco Bay Bridge. Each year the club gives books for this shelf and it now consists of 150 volumes. In July 1979, the library board including Mary Stangl, Sue Puck, Millicent Wiese, Clifford "Bud" Johnson and Darlene Schrum sponsored a Fredda Hinz day to celebrate the library's 50th anniversary. A special reception and open house was given to honor Mrs. Hinz for her 34 years of service to the library. During the reception a portrait of Mrs. Hinz was first displayed. The portrait commissioned by the library board of Trustees was painted by Virginia (Lee) Mickunas of Des Moines. She is the daughter of Amos Lee, a former Superintendent of Manning schools. The portrait will hang in the library in honor of Mrs. Hinz's services to the community. just north of the alley on the north side of the Wyatt hospital. 1912 Paul Moerke made the Iowa Girl cigar in this building. Later this building became the Manning Fire Station on the ground level. The upstairs housed the Manning Library - stairway on the right. Fredda was in the library when the fire station caught on fire. When she called in the fire they thought she was kidding. If anyone has a head-on close picture of the old WWII Veterans wall please let me know. If anyone has pictures inside the library please let me know. The word "Library" is written on the glass of the second window from the left. where the Manning Natural Gas Company was previously located. 1947 Club Cafe - where the city library building stands today. View from the alley of the Club Cafe (collapsed roof). Children's Day, High School band - the cement mixer belonged to Herb "Gloomy" Hass - carpenter. Virginia (Lee) Mickunas - portrait artist. On March 14, 2002, I asked several of Manning's "Living historians" to come to the Manning library to go over the pictorial display that Orval Fink & Arthur Rix made during the 1981 Manning Centennial. We went through each photo and I wrote down memories, identifications, and facts they remembered. Art Rix, Max Detlefsen, Ken Dethlefs with Ila Rix and Dave Kusel seated. Fredda Hinz has given 43 years to Manning as the head librarian for the public library. Officially on January 1, 1989 she retired from the position but plans to continue volunteering time to keep the library a vital part of the Manning community. "I may be busier than ever," Hinz said. "I am planning to do a lot of cleaning I've been putting off for years. I'll find plenty of things to do. I am taking a vacation, I did take six weeks last winter but that was the first time I'd ever done anything like it. Before taking the position of librarian, Hinz was a junior high school English teacher for one year in Hampton and two at Manning. "I was always interested in reading and poetry, you know that sort of thing, so my love for libraries and books was really quite natural. When the need arose for a librarian I felt the library needed to continue. I didn't have any knowledge about running a library but furthered my education through correspondence courses and workshops. It gave me a little bit of knowledge on how to run a library," said Fredda. The history of the library date back to 1886 when it was financed by an annual membership fee. The library consisted of 30 volumes located in the State Bank. In 1895, a Woman's Reading Circle was organized and they took charge of the library. The library grew to 160 volumes. It was during this time the ladies subscribed to Iowa State Traveling Library which furnished them with 100 volumes per year. Library hours were Saturdays from two until five p.m. By 1900 the library no longer existed. Manning Public Library began officially in 1928, and circulated books first in 1929. The American Legion Auxiliary gave a sum of $394 in 1928 and the city council agreed to use the city hall for a library. All the staffing at this time was volunteer. The legion auxiliary helped support the library with volunteer help and funding from various drives. The library also received some gifts and the town built them a few shelves. The library did not officially belong to the town, it was actually the American Legion Auxiliary Library. The building with the library on the second floor, where the Manning Plaza sits today, was above the fire station. When the depression hit, the auxiliary was hard pressed to keep the library going. During these years a city council could not by law appropriate taxes to fund a library, a city park or anything. Such expenditures had to be approved by a public ballot. About 1933 pressure was put on the state legislature to pass a law that local councils could tax to finance public institutions. The town took over the library in 1934 and it has since been supported by both city and county taxes. It then became known as the Manning Public Library. The first librarian was hired in 1934 and the library began to grow. When Mrs. Hinz became head librarian in 1945 there were 1500 books and now, in 1989, there are about 14,000 volumes. Mrs. Hinz has continually seen a steady growth during the 43 years of work at the library. In 1955 the town voted to build a new City Hall and the library moved to the east wing of that building (now the gas office). A location was needed for the library at that time because the fire station had burned. When the City Hall space was needed for the Municipal Gas Offices in 1982 the site on Main Street was purchased from Dr. Philip Myer. Legally the library could have remained in the City Hall because of the public vote designating the east wing for the library. Hinz said, "We were content to move. Not only is the current library location more convenient for the public, it is larger and provides more room for leisure reading with better lighting. The building was remodeled to house the library. It is really a very adequate facility, especially for a small town. The conference room is very well used." The community room, located in the library, is very widely used. The policy for this room is that it is free as long as you are not making money while using the room. "If you want to have a tupperware party, you may rent the room for $10.00. Right now Weight Watchers use the room each week and pay the $10.00 fee. People like to use it because it keeps the clutter away from their home. We have to charge if you are making a profit by using the room because this building is funded by tax payers' monies. The room is used by clubs, church groups, community committees, and parents have used the room for birthday parties," Hinz said. The community room use has helped to increase circulation. People walking through have stopped to browse and then applied for a card. "Anyone who is in the Manning Community School District can have a card and it is free. A few years ago a state librarian said that every person in a county should have a free public library they can use. Our board felt that is the way it should be also and that has been our policy," Hinz stated. Over the years many individuals have contributed money, time and books to keep the library functioning, The Manning Woman's Club helped obtain a Kenny Lindstom grant in 1982 and the Rotary and American Legion Auxiliary are long time contributors to library needs. "There are a lot of things we still need, but- when- you consider the services we've been able to give to the town of some 1600 people and the limited budget we've had all these years, our library has done a pretty good job," Hinz said. The annual circulation for the library is between 10-12,000 books. It doesn't compare to libraries in larger communities but it is really a healthy amount of books for a small community. A special Memory Room designated the Holstein Friesian Museum is located in the library which includes artifacts from early Manning, photos, and other objects of historical interest. The centennial committee set the room up and it continues to be a surprise of treasures for Manning residents. "People come into the library with a vague idea that something of historical value is suppose to be found here, but are really interested to see this room. If more people knew about this best kept secret' we might have more items donated and make it a nice little one room museum," Hinz said. One of the better used services of the Manning Public inter-library loan service with Sioux City. Students have been borrowing the books to the extent that local purchasing of reference materials has declined in the last several years. "I just can't justify buying expensive volumes that become outdated so quickly when they are available from another source. Since we have such good service from the northwest district to which we belong in Sioux City, we no longer have to fill our shelves or budget with current topics that change minute to minute. With a phone call to Sioux City we can get most material within just a few days. With the Micro Fiche catalog located locally a library patron can find the topic of interest, get specific titles and send to Sioux City for materials," Hinz stated. The inter-library lending service is funded by the State. They pay for the postage to Manning and when it is brought back by the patron the local library pays the postage back to Sioux City. Although it is mainly students who use this service anyone with a Manning Library Card may ask for books through the loan service. If Sioux City doesn't have the information needed, they have a network of libraries where they can get books to supply the need of those requesting from Manning. A little used service available through the library is a Film Lending Library. The Senior Citizens are getting films this way and are having the joy of seeing some of the old classics. Not only can the library supply the firms but they have a projector that can be borrowed to show them. "The advent of the videos has really taken the use of 16mm films away. People find the videos more convenient, less expensive to ship, and they don't have to bother with other equipment," Hinz said. The medium of video discs which the library also owns has become obsolete over the years. Discs and disc players are not made anymore. "We do have a few good children's movies and cartoons. We also have one disc player that people can rent and some still do, especially for children's parties," Hinz said. One of the biggest problems for any library are the overdue books. Manning has a campaign about once a year to get books returned. Memorial gift books have become a very positive way families, individuals and clubs can remember someone. The list is really large of those who have shared in this way. One class at a reunion gave money to buy books that were dedicated to deceased members. 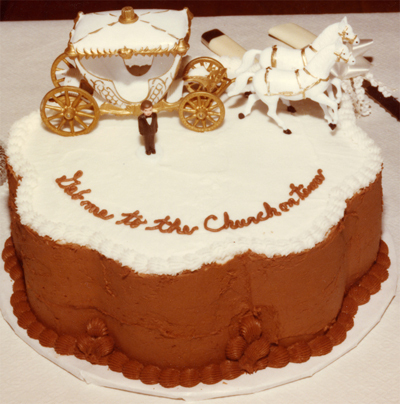 "One of the most unique memorial gifts while I have been librarian was to honor a 45th wedding anniversary. The couple's daughter asked the librarian to buy 45 books to be dedicated in honor of her parents," Hinz said. "Another memorial provided the work space and counter with a sink in the Memory Room. So many people have been so thoughtful and have left a tangible memorial to the library, it would take a separate Hinz also said, "We desperately need someone who knows about laminating to come here, just for an hour and teach us what to do. We have such a good tool and would love to be able to give better results when people want something laminated. We do a lot of laminating and just don't feel real comfortable with what we've done in the past." When the library is visited Fredda will be remembered, for Fredda Hinz loved to work in the library, cared about the condition of the books, and enjoyed meeting the people who patronized the library. Her portrait in the front reading room will be a reminder of the long hours she spent cataloging, arranging, storytelling, helping locate material, and most of all giving others a love for reading. In the future years let's hope others will see this example and be able to fill the spot she is leaving. The Manning Little League has a fun opportunity for our local businesses. The Little League is selling 3x6 mesh outdoor banners to hang on the baseball field fence. The details are included in the attached sign up form. I will be working with interested businesses to create their personalized banners with logos. It’s a win, win for everyone as it’ll be great way for businesses to advertise as spectators drive through town & it supports kids in the little league program! For more details, please contact me at 655-2660. Thanks in advance for your support! There is going to be a delay in getting the pictures posted. At the auditorium in Manning. More pix and I will attempt to add sound with some of the pictures will be coming soon...BUT this is going to take even more editing time so please be patient. Verta Mae Von Tersch was born September 29, 1929, in rural Gray, Iowa, the daughter of Walter and Gertrude (Schroeder) Barten. She passed away Sunday, March 24, 2019, at Holy Spirit Retirement Home in Sioux City, Iowa, at the age of eighty-nine. Verta Mae was baptized in Christ and confirmed in the Lutheran faith in Manning, Iowa. She received her education at Lincoln No. 5 country school near her home in Audubon County, and graduated from Irwin High School, in Shelby County, with the class of 1947. On April 18, 1949, Verta Mae was united in marriage with Eugene "Tunney" Von Tersch at St. Peter's Catholic Church in Defiance, Iowa. The couple made their home on the farm south of Denison and was blessed with nine children. There were three things in life that Verta Mae jokingly said she would never do and those were...she would never marry a Catholic or a farmer or ever have children, but those were the three things she embraced with the deepest affection. In the early years, she was employed at the Red Lantern and JoMart Steak Houses and as a hostess at Cronk's Cafe, all in Denison. She also provided counseling at the Denison Job Corps. Music provided much pleasure for Verta Mae as she particularly enjoyed yodeling, singing in the church choir, singing and dancing. She was an excellent seamstress sewing all the clothes for her family. Verta Mae was also a good cook and enjoyed baking, especially bread and cinnamon rolls. World traveling provided many fond memories for her as she made trips to Yugoslavia, China, Italy, and the Holy Land. She also enjoyed socializing with neighborhood women. Verta Mae was a member of the Altar Society, Neighborhood Women's Society, Council for Catholic Women, and Cancer Society. 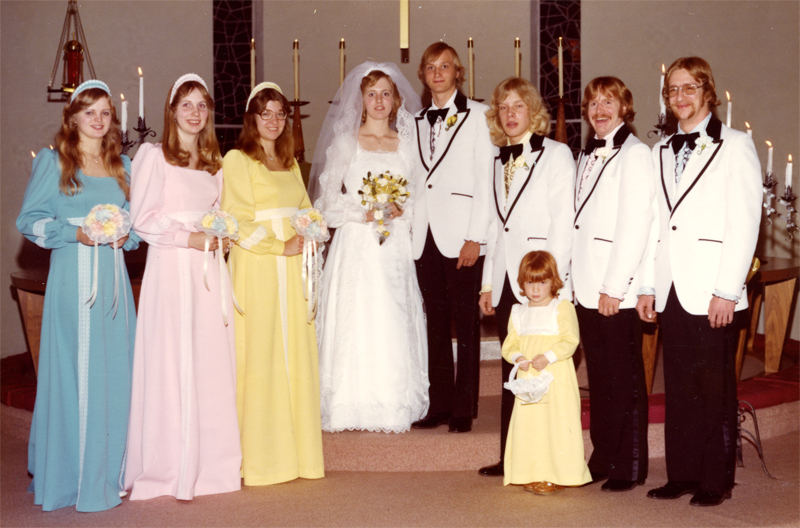 Verta Mae was preceded in death by her parents; her husband, Eugene in 1977; one son, John Von Tersch; one grandson, David Von Tersch; one sister, Charleen Knudson and her husband, Kenneth; one brother, Arlo Barten; a stepbrother, Marland Mork and a step-brother-in-law Jerald Axland. Survivors include: eight children, Larry Von Tersch (Kathy) of Platte City, Missouri; Sharon Tesar (Michael) of Omaha, Nebraska; Joan Von Tersch (Bill Wege) of Council Bluffs, Iowa; one daughter-in-law, Diane Von Tersch of Glenwood, Iowa; Dale Von Tersch (Carolyn) of Denison, Iowa; Paul Von Tersch (Annette) of Wayland, Iowa; Mary Hanno (John) of Sioux City, Iowa; Gene Von Tersch (Krystal Ferguson) of Denison, Iowa; and Teresa Shook (Chad) of Salix, Iowa; twenty-nine grandchildren; thirty-four great-grandchildren; a step-stepsister-in-law, Jeanie Mork of Denison, Iowa, and step-sister, Dwanna Axland of Council Bluffs, Iowa. Memorials may be designated to Holy Spirit Retirement Home or Trinity Heights in Sioux City, Iowa. She will be dearly missed by her family and friends and the staff at Holy Spirit Retirement Home where she has spent the last three years. 1913 Back: Alfred David, Edna David, Emil David, ? ?, ??, ? teacher, ? ?, ?? A program and box social will be held at Lincoln No. 5 Wednesday evening, December 20th, 1933. "Mrs. Rowe's Christmas Guests" will be presented by Mrs. Walter Barten, Inez and Alice Jurgens, Robert Newell, Donald Beck, Edna Schultz, and Jack Bobenmoyer. "Christmas Plots" will be presented by Ella Musfeldt, Ethel Anderson, Lydia Beck, Jack Bobenmoyer, Glen Huffman, and Robert Newell. "Fish to Nuts" comedy by Julius and Herman Sonksen. "A Merry Christmas After All"
John and Ada Barten Johann Wilhelm "John William" Barten was a farmer and livestockman in Lincoln Township, Audubon County until his "retirement" to Manning on January 15, 1923. Until his death on December 1, 1936, he served the Manning community as a two-term member on the Town Council, a Street and Alley Department member, a founder and stockholder of the Manning Trust and Savings Bank, and a board member of the Farmers' Union. He and his family were members of Zion Lutheran Church. John Barten was born in Washington Township, Jackson County, Iowa, on December 1, 1871, on the Barten homestead. His parents were Christian Hinrich Martin Barten, a native of Rosenhagen, Mecklenburg-Schwerin, Germany, and Anna Joss Barton, a native of Herolfingen, Canton Bern, Switzerland. John spent his early years in eastern Iowa until he located in Lincoln Township in the late 1890s. He married Miss Ada Meyer, daughter of Ernest August Meyer and Marie (Wollenberg) Meyer (deceased 1886) and step-daughter of Katherine (Kettlesen) Meyer, on March 6, 1901 at Trinity Lutheran Church in Lincoln Township by Rev. A. Ehlers. Dorothea Friederike Ida "Ada" Meyer was born on April 1, 1876, in Washington Township, Will County, Illinois. Her father was a native of Wendenhof in Hannover and her mother was born in Stralsund in Pommerania. John and Ada were the parents of three sons: Richard August Christian, born June 4, 1902; Walter Ernest, born September 19, 1905; and John Friedrich Wilhelm, born December 30, 1908. On October 16, 1916, Ada, along with her unborn son, died in an Omaha hospital following surgery for a lingering intestinal disorder. They are buried in the Barten family plot in the Manning Cemetery. On February 20, 1918, the Barten home in Lincoln Township was the setting for the marriage of John to Luise Pauline Müller by Rev. G. Krumm of the Peace Evangelical Church in Manning. Pauline was born May 17, 1888, in Dettingen an der Erms, Württemberg, Germany. She died June 21, 1977. Her parents were Johann Müller and Maria Agnes (Schneider) Müller. To this marriage one daughter, Lorraine Frieda, was born on December 26, 1919. She married Frank Danner on October 10, 1964. Lorraine passed away on February 19, 1967. On July 24, 1934, Richard married Ida Zaiger (born: June 24, 1899, died: September 20, 1986). They were the parents of four children: Lloyd (deceased), Jerald living in Ankeny, Leone (deceased), and Bernice now living in Rockwell City. Richard farmed and drove a truck until he died on December 18, 1960. Richard and Ida are buried in the Manning Cemetery. Walter married Gertrude Viola Schroeder (born: June 5, 1912, died: October 24, 2003) on March 1, 1929. They were the parents of three children: Verta Mae of Denison, Arlo living in Des Moines, and Charlene living in Irwin. Walter farmed the Barten homestead in Lincoln Township and for a short time before he died they lived in Irwin. Walter died on February 19, 1947. Walter and Gertrude are buried in the Oak Hill Cemetery in Irwin. John married Elda Rothfolk (born: December 28, 1913, died: June 8, 2002) on August 3, 1937. John died December 22, 1988. They were the parents of four children: Roger of Audubon, Dorothy of Irwin, Robert (deceased), and Linda living in Cedar Rapids. John and Elda are buried in the Manning Cemetery. The following sister and brothers of John W. Barten also lived in the Manning community: his sister, Mrs. Herman D. (Emma) Hinz, and his brothers, Chris Barten, William Barten and Charles Barten. William and family eventually departed for Oklahoma and Charles later moved to Nebraska. Charles & Margaretha (Schultz) Schroeder Charles Schroeder, son of Henry and Wiebke Schroeder, was born November 7, 1877 near Manning. He lived in this area all his life. His father bought a farm in Iowa Township, Crawford County, and when he retired from farming Charles moved to the farm. February 22, 1905 Charles married Margaretha Schultz. She was born at Stolp Pomerania, Germany September 22, 1881, to William and Wilhelmina Schultz. She and her mother came to America in 1892, and they first stayed in the home of her mother's uncle near Wall Lake. After Charles retired in 1919, he, Margaretha and their family moved from the farm to Aspinwall, where they bought an acreage from Chris Hollander on the east end of town. The acreage included three acres of pasture, so Charles bought some cows and the children did the milk chores, selling milk to a number of families in town. The family included three children, Wilhelmina Amanda (Mrs. Art Fuss), Marceline, Missouri, born December 18, 1905; Henry Wilhelm, Manilla, born May 6, 1909; and Gertrude Viola Mork, Irwin, born June 5, 1912. Charles lived in Aspinwall until his death in 1959. Margaretha lived there a few more years and, because of failing health, moved to Eventide Nursing Home in Denison, where she passed away in 1970. These next pictures came from the Emma Schroeder collection. 3 of them were identified as taken on the Charles Schroeder farm, but unfortunately like so many old pictures - there were no identifications. Any help with identifications and family connections will be greatly appreciated. I'm thinking this was actually taken in a small town. There is some writing on the large building in the background. Also, the road doesn't appear to be a graveled country road. Could this be Gertrude & Minnie? It is possible some or all of the school pictures below are connected to the Aspinwall town school. The Schroeder family moved into Aspinwall in 1919 when the oldest, Minnie, was 14. Front: ? ?, Marie (Schwiesow) Schroeder, ?? I'm fairly sure that is the Emil Ehrichs Hudson dealership brick building in back on Main Street. Back: ? ?, ??, ? ?, ?? Middle: ??, ? ?, Minnie, ?? Front: ? ?, Gertrude Schroeder, ?? They homesteaded a wheat farm near Leedy, Oklahoma. Taken in 1912 when their parents celebrated their 50th wedding anniversary. Mark your calendar for the annual City Wide Clean Up on Saturday, May 4th! It's that time of year to spruce up our community and get ready for summer guests! Mark your calendar for the annual Hausbarn Heritage Park Clean Up day on SUNDAY, April 28th. Any volunteer help would be greatly appreciated! I continue to scan the Voge/Lamp/Koester collection I ran across some country school pictures. One of them had all of the students identified, which is quite rare for old pictures. The names add so much to the picture. The other school picture had no names - there would be one or more of the Koester kids in the picture, but hard to guess who they might be. The more interesting aspect to this picture are the flour sacks used to as part of their costumes for some type of skit/play. I was able to read the company name on one of the sacks so I searched the Internet and found out the mill was located in Waseca, Minnesota. Ida Koester wrote: "I started school March 17, 1907 and finished June 15, 1915"
The smallest boy in front looks like a Meggers.My mother identified the 2 girls in the back row with the similar dark dresses on the left as Hass girls but she doesn't know which one is Helen and which one is Laverne. It was so typical years ago for things to get reused (recycled) for other purposes. In this case the teacher didn't go out to buy costumes but made them from used flour sacks for teaching purposes. Again, I put out my plea to anyone who has old school and country school pictures and history...especially those old Souvenir booklets, which have the teacher, students, directors, board members, etc. listed...a gold mine of history, plus the year it was printed. Please dig those things out and get them to me so I can digitize and preserve them in my Manning Historical database. As you can see on the pages of the Souvenir booklet above, deterioration from the acid in the paper, and a type of mold is breaking down the paper as noted by the orange spots. I can digitally clean this up but someday the booklet will be so badly ruined by those splotches it won't be worth scanning and repairing. Totally amazing historical event captured in 1918. Even more exciting is the fact that Ida Koester, one of the students who attended this school, wrote down the names of the students, year, and what the event was. Wilber Anthony later served in the Army during WWII. All of the students dressed up in nice clothing for this school program. Leona Evers - teacher Another piece of the Manning puzzle for me is that Ida wrote her teacher's full name...all I had was L.G. Evers in my database but now I know that her first name was Leona. A sad fact of ignorance is that some people today will gasp at the sight of kids holding guns at a school...not considering that the dads, uncles, cousins, and older brothers of these students were overseas fighting for the freedoms of the world. Also ignorant of a time when young boys also used guns to hunt for food for the family, or shoot a coyote or other predator that would kill their farm animals. Children's Day today is vastly different than what it was for the community during the early years of its history. Many mothers/grandmothers made very fancy dresses for the girls (to a point of competition) and they would get new shoes. The boys would get new shoes, socks, pants, and shirt which had to last them for special events for a whole year, until the next Children's Day. Travel was limited so everyone made their own fun with events like Children's Day. I scan thousands of pictures and unfortunately most aren't identified. I've spent decades showing them to various family members and the older generations in Manning but now they are deceased. Back in 1996 I had big hopes that I would get endless help with these pictures by showing them on my web pages. For about 10 years very few Manning connected people were online and by the time they got on the Internet, there were endless distractions for them to spend their time on. But I continue to preserve Manning's history and from time to time I find scrapbooks identified and it is fun to not have to spend time trying to figure out the who/what/when/where/why of the picture. Below is a perfect example. Most baby pictures are not identified or explained. This one has the names, the year and the occasion which makes the picture so much more interesting and especially historically important because of the extra information...all thanks to Ida (Koester) Wunder who took the time to write in her scrapbook. A big problem is that these old black paper albums had a white chalk type marker that came along with the album. For some of the albums I've worked on over the years, I was no longer able to read the writing. I can just read the writing in the Koester album by using a magnifying glass and change the angle of the page to the lighting. Sometimes it helps that I know the names of the era/area. Don't you just love that old baby buggy? It would never pass the safety police today - how did anyone ever survive??? Dave Friedrichsen had to remind me that he met me here in Manning 9 years ago. He has been a big help with my Manning history projects, and willing to share what he has with me so I can scan it for the Manning Preservation project. I had never met his sister, but through the pictures and information from Dave and other Friedrichsen family relatives, such as the Hacker and Christensen families, it was easy to create a tribute for her. Most people won't remember or know Harriet unless they attended Ewoldt No. 7 or were confirmed March 22, 1959, at Zion Lutheran in Manning. These are just a few of the citizens of the Manning area that Harriet interacted with while living south of Manning. It further shows the importance of preserving the history of everyone connected to Manning. I'm trying my best, are you willing to help??? More families from outside of Manning are coming forward with military history. In the last few days I heard from the family of Doug Kruse and Dave Summerville. They have military pictures and information to share and over the next several weeks we'll be working together so I can get more history about their service. Here is an amazing historical item of Dave Summerville that his son, Scott, captured with his camera. According to Russ Spies, this jacket hung in the closet of his home for decades - where Dave had left it. On April 27th it will be the 75th anniversary of Dave's first mission with the 457th bomber group - one day before his 23 birthday. Margaret & David Summerville were siblings. Another great thing about Dave's son contacting me is that he was able to ID and confirm pictures of his dad that I scanned from the Spies colletion. More coming as I work with Scott in the coming days/weeks. More information and letters written home that were shared with the Manning Monitor can be found under Dave's link in the Veterans' WWII section that is linked on the left side frame under "Long term projects." While I'm too young to remember this business "Bales Cash Market," I have several pictures that came from the Joyce (Jensen) Schroeder collection...plus several from the Spies collection of the Bales family. This further shows that when people let me scan their old collections, I will be able to preserve those items, and also share with everyone interested in Manning's history. It's just a simple e-mail!!! and we can work out the process for me to get them to scan. Darrell & Jack Bales on the old Summerville (now Russ Spies farm). Note the Gray, Iowa, water tower back left. Darrell Bales - wonderful historical image of an old fashioned butcher! There is only one reference and a very small picture in the Manning Centennial book. In 1997 I set up a message board - the "face book" of the day where people could post messages, respond, ask questions, etc. It never got a lot of use but that is fine by me - it is only for Manning connected topics which narrows the interest level a lot. Today it seldom gets any use but it still helps people who are looking for family information. I had to come up with a name and for some reason I ran across the entry in the centennial book for the Manning Exchange and I thought that was a good description for a message board. It is linked on the left. Page 202 of the Manning Centennial book Sadly, I have never run across this picture that was submitted by someone back in 1979-80. More than likely it has long since been thrown away. The image in the book is better than nothing but I sure would like to find the actual picture/postcard to scan. About a week ago I saw something that really caught my eye on E-bay...a token from the Manning Exchange. Think of the odds of it returning home over 100 years later. If the Voge family had not shared their collection of family pictures and boxes of stuff with me, I would have never found out about another Manning Veteran I did not have in my database and he would not have been included in the Manning Veterans' book. 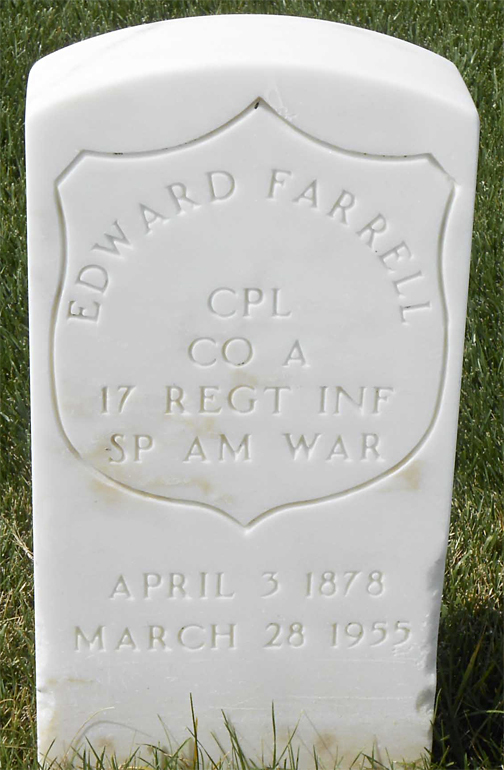 BUT thanks to Gerhardt Voge and his reminiscing about Ed Farrell and Ann (Voge) digging around on the Internet we now have proof that Ed served during the Spanish American War. Gerhardt also remembered that Ed talked about being a prisoner of war and was tortured. You can see some pictures and find out more details about Ed by going to my Veterans' page (on the left side frame under "long term projects") and then click on Manning Area Veterans link, then on the Spanish American link. From the Internet: The 17th lost heavily in killed and wounded in the Spanish-American War, where it participated in the battles of El Caney and Santiago, and many of the officers and men were decorated for conspicuous bravery in action. All kinds of exciting things happen for me when other people share and work with me. Lately I've been working with a number of collections and people who are looking for various family information that I might have. As I always do - I ask that those looking for information/pix I have will also share what they have...and here are several situations that really helped me with my Manning Veterans' project. One person steered me toward some obituaries on the Welch/Dietz/Arp families. One Welch obituary in particular, Benjamin, provided me the extra information I needed to prove that Clinton Welch served and died during WWI. Now why would I get excited at such minor information? It should excite everyone that I now have another Manning Veteran in my list - especially another one who fought and died for our country - a pretty big deal I would say, wouldn't you??? Then I ran across a souvenir booklet that had W.C. Schrum 33rd Division written on the cover. 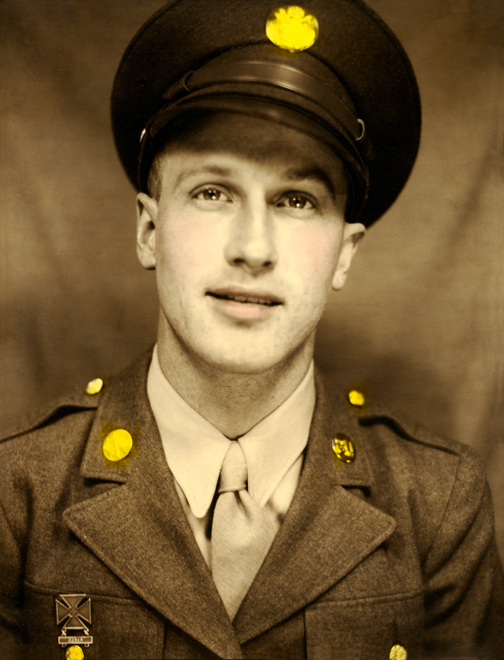 All I knew about Bill is that he served in the Army during WWI, which came from his obituary. So now I'm fairly sure, based on this tidbit of information, that he served with the 33rd Division. Then I noticed his wife was Alice Kroeger. Over the last week I've been working with a Kroeger descendant and hope that she is connected to Alice and maybe can help me more on Bill's military service. The so-called news media and Internet information sourcing are pretty much nothing more than a cow chewing its cud - just regurgitated opinions and political brain-dead non-sense. Ole "Bossie" takes the time to "chew things over" twice before finally digesting food in her 4-compartment stomach. The media - anyone for that matter - should think a little more before they spread "their opinions" around as facts. We shouldn't believe everything we hear and read - especially the first time around. The nice thing about operating my own web page is that I don't have to worry about some elitist PC cop removing or blocking my ability to speak my piece. In January of 2018, I created this historical perspective linked below about recreation in Manning and also information and graphics for the current proposed project for the Rec Center. It shows how projects don't get done overnight and also how very important volunteers and donations are to every project. On May 15, 2018, the city council approved $400,000 in matching funds for the proposed Hillside Splash project. JEO Consulting has been working on design ideas and a proposal to complete this project in 3 phases. Phase 1 will begin in 2019-20 with construction beginning in 2020-21, or as soon as funds are raised. A zero-depth pool with some play features are planned in phase 1, with the slide aspects in phase 2, and a spray pad for phase 3. Click on the link below to see some very interesting history on how Manning achieves so many amazing things and is now working on another unique project. 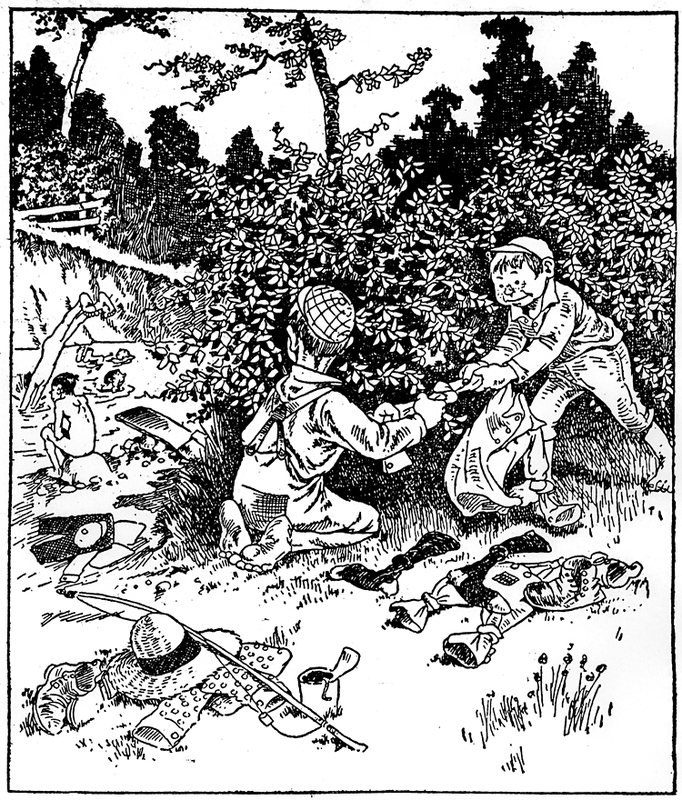 1909 cartoon about 2 boys nabbing their friends' clothes while "skinny dippin.'" History can be as complicated or simple as people make it. What's wrong is when self-appointed "history police" take it upon themselves to be the ones who determine what history we should keep and what history they feel needs to be destroyed...they are the "book burners" of today. They spout all kinds of sophomoric statements, which most of the time have no basis in fact or historical perspective - only what they believe their truth is, and anyone who disagrees with them is evil or represents what they claim is bad. There are so many ways to preserve and present history...pictures, video, audio, written words, and sadly, in many cases - nothing is done so individuals and events just disappear completely over time. In 2016, I sat down with Orland to get his military story and also his "Manning" story. One thing nice about capturing audio is you get to not only hear the voice of the person featured but you get to hear his laugh and inflections in the way he uses words. The audio is about 1 hour long. I removed some of the dead space and less important parts of the conversation and hope that you will take the time to listen to Orland talk about some of the highlights about the Manning Ag Center history. An observation I made during Orland's funeral was the lack of attendance by business people and Manning citizens in general. I realize many of them paid their respects at the viewing the day before and the church is relatively small but having attended funerals for 50+ years and knowing Manning history...society has changed a lot - it was quite common when a businessman passed away years ago that the businesses on Main Street closed down during the funeral and most of the owners attended the funeral. ONE OF OUR OLDEST PIONEER CITIZENS PASSES AWAY LAST SUNDAY AFTERNOON. Was a Member of the City Council for Fifteen Years and on School Board for Nine Years. Mr. Patton has been in the stock business in Manning for a number of years and was associated in the business with his son, Dwight, at the time of his death. As a token of the esteem in which Mr. Patton is held by the business men here every place of business in the city was closed from 10 to 12 o'clock, during the time of his funeral and all public work was suspended the entire day. The spacious funeral home and every, available place around the premises was occupied by friends during the services. Every business place in town was closed in his respect during the services. The deceased leaves many memories and some heritages which will endure through Manning's history. He was one of the towns leading citizens; a man of pleasing personality; jovial; kind and honorable. He was a good friend to have and he had a host of friends. The Chamber of Commerce, Manning, 3-Mile House and 5-Mile House Schuetzen Verein, of which he was a member, and other organizations always found him a willing worker and liberal giver. The town and community will feel his departure in losing a faithful helper and progressive citizen. He was a faithful husband and a kind and loving father in his home and gave himself unselfishly for the comforts and good of his family. Another reason why more citizens should have attended the funeral was to honor and show respect to Orland for his military service...a Veteran of the Korean War. Now these comments are solely my own and not intended to judge/criticize anyone but just as an observation of change over the years. Visitation resumes at church at 9:30 AM. Please visit the Manning Exchange for local news, articles, and information...a work in progress. There are lots of Manning Veterans of the Korean era with no pictures or information. Will you be in the Manning Veterans' book??? 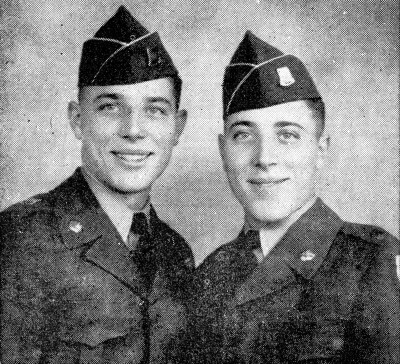 Unless more post-WWII Veterans come forward there will be a lot of 1946 to present day Manning connected Veterans missing from the book. 1 example from the Logeland Studio wedding packets. There are still quite a few Logeland Studio wedding packets available. Click to read about this important project. It will help to financially support the Manning Veterans' history book project. What makes up a community? We would like to hear from you, the "1983 Leaders of Tomorrow" who have relatives and chums in your hometown of Manning, Iowa. Attention "1983 Leaders of Tomorrow"
Who is the sister of the meteorologist linked below? Who grew up on a farm south of Manning, has chased tornados, and is now a meteorologist for the National Weather Service? Click to see the answer in his own words I have been receiving questions from various "1983 kids" about what type of information we would like them to write about. Please read through the meteorologist's story to get ideas for you own personal write-up. Then send me an e-mail so we can work out your story. Note: Your story does not have to be as thorough as found at the link above but at least send us a couple paragraphs to bring us up to date from 1983. Here is the DIRECT link to the 1983 web page. Parents of the "1983" kids - please encourage your children to send in their updated information and any pix they may want to include. Sometimes a little nudge by mom or dad will get the ball rolling! Each 1983 "Leader of Tomorrow" has interesting family history. 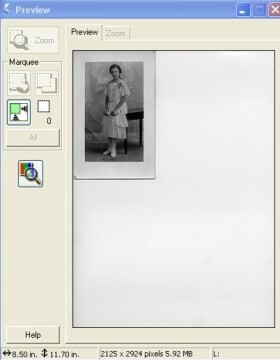 If you send me some information about yourself, I may also be able to find some pictures of your parents, grandparents, family members that I have in my database (as shown above). We can use them in your story along with your "1983" picture. We'd like to hear from you !!! Have some of your "Dreams" come true? Just as a reminder: the Manning History book committee continues to work on a Manning area Veterans' history book project. For those of you who are Veterans or have/had Veterans in your family - will you come forward? The history book committee will do their best to get as many pictures and information about the 1000+ Manning Veterans but we can't do it all by ourselves. How many small communities do you know have published 5 history books? The first one was the History of Manning 1898, then the 1981 Manning Centennial book, next the 2006 Manning Quasqui book, and most recently the 2009 Manning School history book. Probably the last book to be published will be the upcoming Manning Veterans' book - unless someone comes forward in the next generation to take over these projects after I'm gone. Will you help with the Veterans' history book project? If you are a Manning connected Veteran or are presently serving and do not submit your military connected pictures and infomation you probably won't be in this once-in-a-life-time Manning Veterans' history book. With a limited number of volunteers we can only do so much on our own but will try to get pictures of as many Veterans as we can. 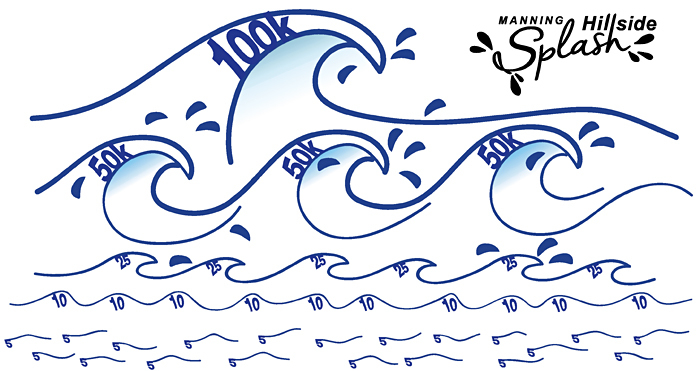 There are over 1000 Manning Veterans so we have a long ways to go before the book can be published. One thing that many Veterans and people who are submitting information have not fully understood is that this next Manning history book is specifically a Veterans' only book. It won't be like the Centennial or Quasqui history books were, where there is a Veterans' section along with other community aspects. We are aiming for a 2-volume book (around 1090 total pages) which will really be unique!!! This book will be ALL Veterans' information (and the post auxiliaries) - hence it won't be a "Name, Rank, and Serial Number" only history but we want a complete history for each Veteran. For instance - below is Louis Boell's picture and the information that was published in the Veteran section of the 1982 Aspinwall Centennial history book. It has the basic information but we are looking for more and I spoke to Louie by phone and he sent more pictures and information - also for his brothers. To see what Louis submitted click on the link underneath "Are you a Manning Veteran" shown below. Note: we also want some family background such as parents and grandparents. All too often you will only see just the Veteran's name with their basic military information but without the family connections it will be difficult for future historians and genealogists to know for sure who this person belongs to. Are you a Manning connected Veteran? I would like to hear from you!!! We are starting a Manning Veteran history book project and if you don't come forward you may not be included in the book. NOT because we want to intentionally leave you out but because you didn't come forward. Same goes for those of you who have Veterans in your family who have passed away. If you don't come forward and help by submitting Veteran connected pictures and information your Veteran may not be included in this once in a life-time Manning Veterans' history book. is proudly displayed here and NO other flag is as IMPORTANT! Are you a Manning Veteran? Are you currently serving and have a Manning connection? Don't wait until you see "Deadline" or it WILL be too late!!! There are a lot of WWI and some WWII Veterans pictures with no IDs. I appreciate your efforts scanning pictures for me but if you only make low resolution scans you are really wasting your time. 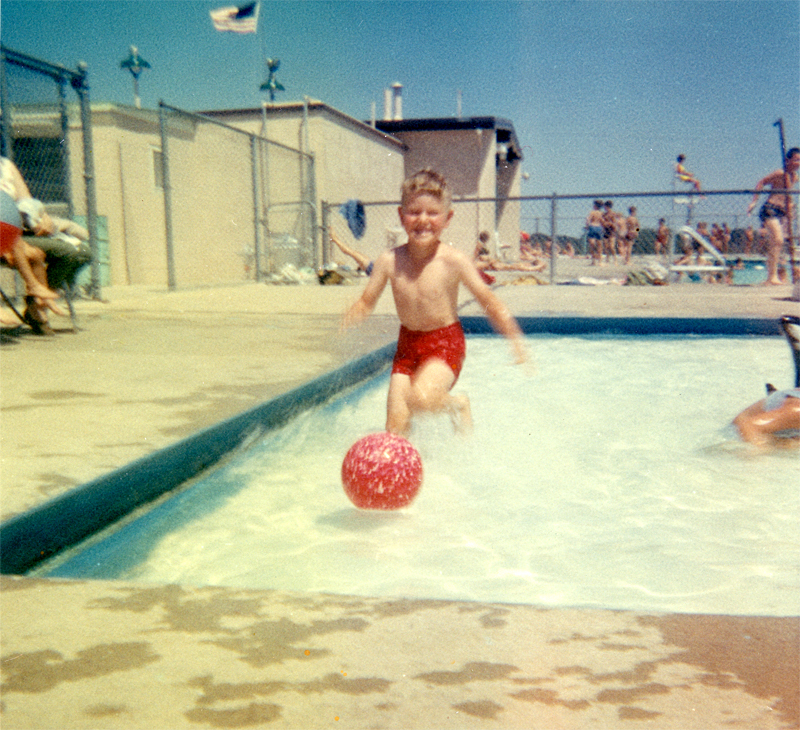 High resolution scans are the best and only way to really preserve those old pictures. If you simply don't want those old family pictures you inherited please don't throw them - send them my way. A lot of times I can recognize a face or location in those old pix. One thing to keep in mind while you are looking for pictures - if they are glued in old scrap books please do NOT try to pull them out or cut them out. I can scan the whole page of the scrapbook and crop out the pictures you want to use in the book. If you attempt to forcibly remove the pictures you will probably damage them and when I scan them that damage will probably show up. This means I'll either have to use my graphics program to touch up the damage which can take a lot of time, or if they are badly damaged I just may not even take the time to scan them.